It’s time for the 27th annual Classic Cruisers Car Show in the Park! Come on down to Copper Cliff Park to enjoy the show on Sunday, August 5th. Stop by and say hi at the M&M Meats BBQ. Our volunteers will be there to accept donations to the Sudbury Food Bank and sell you some hot food and cold drinks. 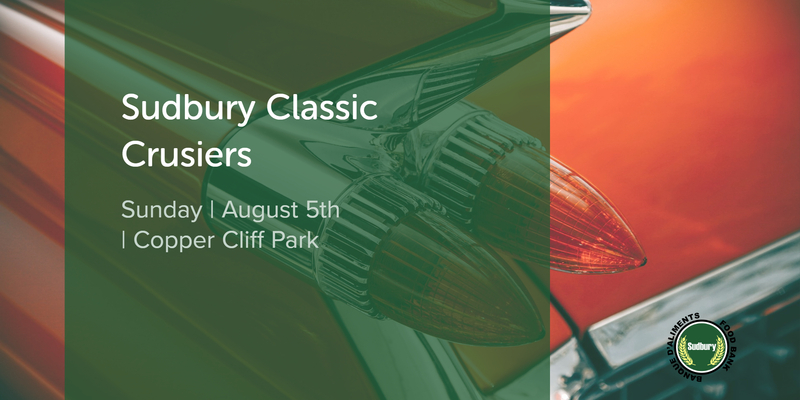 Our thanks to the Sudbury Classic Cruisers Car Club for their continued support!